Jake Horowitz is an Associate Director in the Retail Leasing Division of Colliers International, where he focuses on tenant and landlord representation in all five boroughs of New York City. Mr. Horowitz joined colliers in 2017. Mr. Horowitz joined Colliers from Eastern Consolidated, where he served many retail clients across Manhattan. Jake also has a background in the restaurant business having worked as the manager of a restaurant for five years. Mr. Horowitz earned a B.S. in both Business Management and Information Management & Technology from the Martin J. Whitman School of Management and the School of Information Studies, respectively, at Syracuse University. 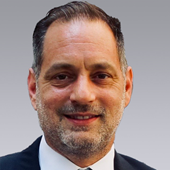 David Tricarico is an executive director in Colliers International’s New York office. He focuses on retail tenant and owner representation across the five boroughs of New York City, with the Downtown market as a specialty area. For retail tenants, he assists in developing and executing real estate strategies in one of the most competitive markets in the world. Owners of properties with retail components benefit from his insight into optimal positioning and marketing of space, targeting of appropriate tenants, value add financial/amenity advice, and completion of transactions that benefit all parties long term. He joined Colliers in 2017.